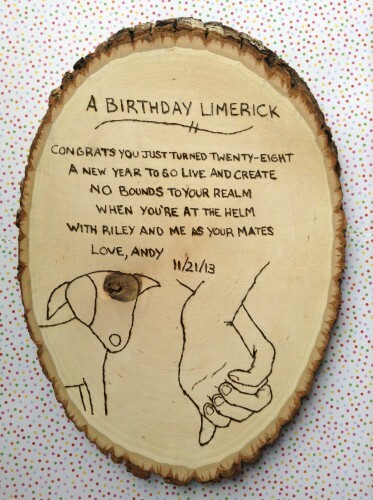 Yes, this is an original poem wood-burned into a slice of tree trunk. No, you cannot buy it at Hallmark. Happy Birthday! 28 is a fabulous year. While the year itself may not be a milestone, you’ll be surprised at all the milestones contained within it. Such a sweet birthday gift! Love that Riley was a part of it!!! Lol tell me about it. Wow, hard to top that!